The average insurance premium under ObamaCare is probably not headed toward a double-digit hike next year, according to new data. Premiums for silver plans on the federal insurance exchanges are slated to increase an average of 5.8 percent in the eight states where all data is available, according to an analysis by Avalere Health. For the lowest-cost silver plans, that increase will be 4.5 percent, or an average of $378 per year. That data, which includes Maryland and Michigan, comes after a string of headlines predicting steep cost increases for health insurance plans in 2016. “While recent public attention has focused on a subset of plans that filed for premium increases of 10 percent or more, these data reveal that most plans are proposing more modest increases,” said the group’s senior vice president, Caroline Pearson. Health insurance companies were required to file their rate increases by June 1, though under law, most are only required to seek approval for hikes of 10 percent or more — resulting in a skewed portrait of the increases. That is an important point that the news is coming from those plans which are requesting the largest increases while the plans which desire lower increases do not make news. Morning Edition had more to put this in perspective. The numbers released last week came out of a June 1 deadline, under the Affordable Care Act, that requires insurance companies to tell government regulators when they’re requesting price hikes of more than 10 percent. Some officials opposed to the law, like Sen. Steve Daines, a Republican from Montana, decried the increases. “Blue Cross Blue Shield, which is Montana’s largest insurer, is asking for an average increase of 23 percent for Montanans enrolled in individual plans,” he told colleagues from the U.S. Senate floor last week. While that sounds scary, it turns out that Blue Cross Blue Shield in Montana is actually asking for large price hikes on just two plans it wants to offers in the state. While it’s not yet public how many they’ll offer in 2016, they currently offer 50 plans. Caroline Pearson, vice president for health reform at the consulting firm Avalere Health, has been digging into available numbers on insurance pricing across several states. She says such price hikes are not the norm. She’s not seeing anything like a 20 percent average increase in the price of monthly premiums. In the handful of states where data is available (Connecticut, Maryland, Michigan, Oregon, Virginia, Vermont, Washington state and Washington, D.C.), Pearson says the majority of people buying health coverage on exchanges won’t face serious sticker shock. “We have seen that about 6 percent average rate increases are expected for 2016,” Pearson says. With some plans planning large increases while other plans, including some from the same company, are only likely to have modest premium increases, my suspicion is that insurance companies are counting on some customers sticking with the same plan without shopping around. They will receive higher profits from those who stick with plans which jump the most in price, while consumers who take advantage of the exchange can switch to plans without huge premium increases. Also note that these increases making the news are only requests. 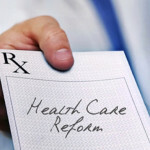 Another change under the Affordable Care Act is that it is possible that these larger premium increases will be denied. As long as health care remains based upon private insurance companies we will continue to see premium increases. After all, double digit increases in premiums were extremely common before the Affordable Care Act was passed. While the ACA has expanded health care coverage and has resulted in some lower costs, the bulk of the proposed cost-containing provisions were stripped form the bill in order to achieve sixty votes to pass in the Senate. Some of the remaining provisions to lower costs are based more on long term changes in health care. The problem is that there would have never been sixty votes to pass a single-payer plan. If ideas such as the public option and a buy-in to Medicare had to be dropped because of the opposition from Joe Lieberman and Ben Nelson, there is no way that sixty votes could have been obtained for a single-payer plan. The same article points out how Obamacare passed while Hillary Clinton’s more extensive plan from the 1990’s, which “would have upended the health insurance of most Americans” was easier for Republicans to defeat.